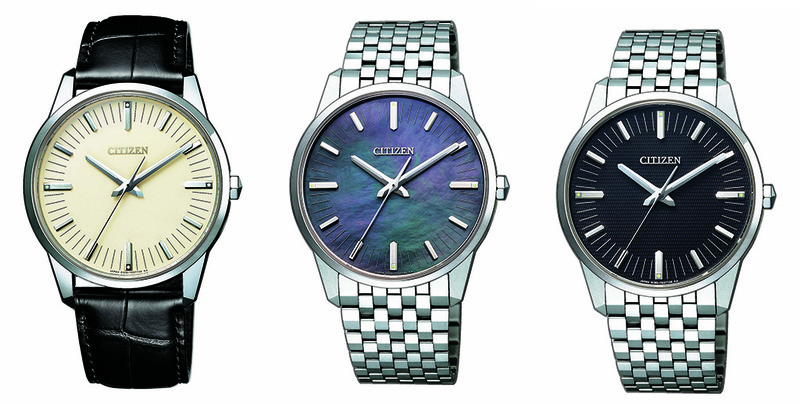 Slated for launch in the autumn of this year, CITIZEN unveils three new “Caliber 0100” watches, named after the EcoDrive movement, that delivers the world’s most precise time-keeping accuracy of within ±1 second per year. 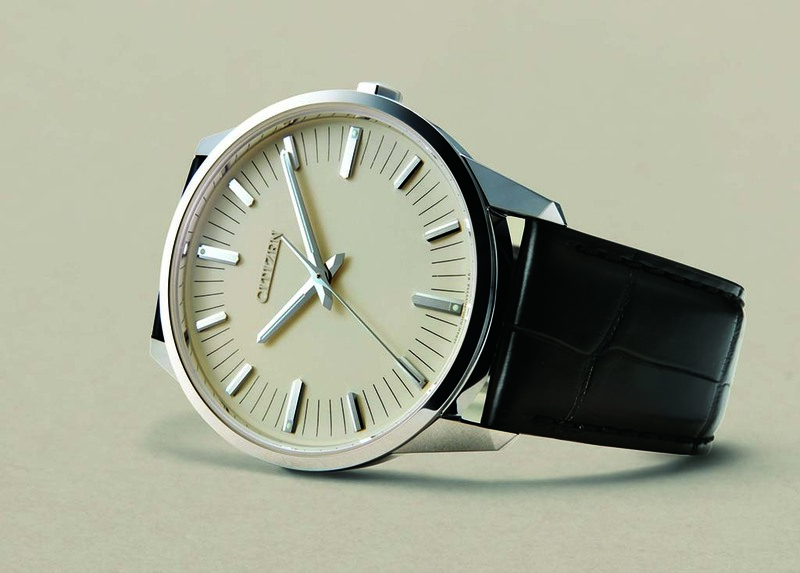 The Citizen Caliber 0100 – precision of 1 second a year is currently the best in the world. 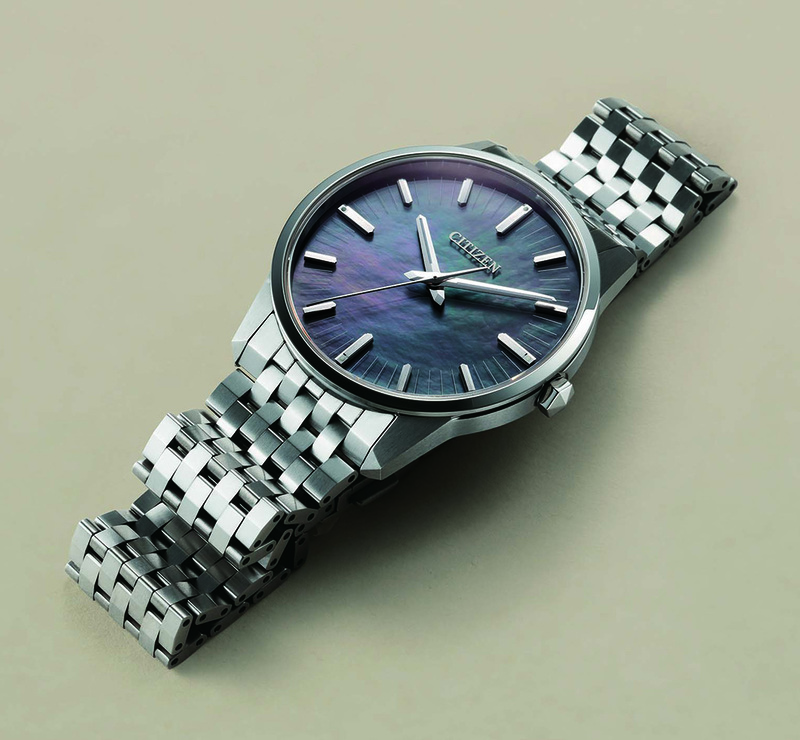 AT cut crystal oscillator is used in place of the tuning fork-shaped one used in most quartz watches. Precision means the second hand is in perfect alignment to each index marker. All the time. Among the most impressive characteristics is the perfect alignment of the second hand and indices when viewed from the front. 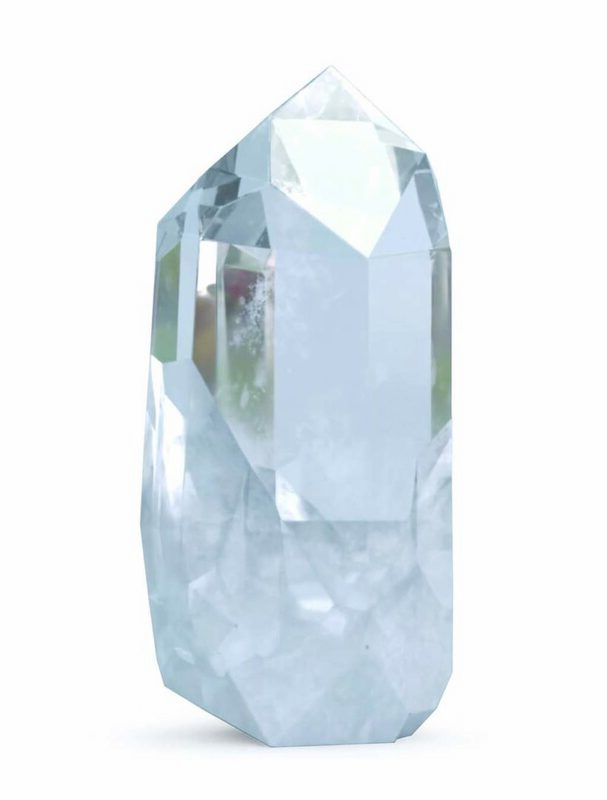 Individual hand movements are the physical expression of a “second in its purest form,” achieved by adopting the LIGA fabrication process*4 (a fabrication technology for making high-aspectratio microstructures) for individual components. Ordinarily, gears and springs are machine cut and pressed. With LIGA fabrication, more intricate components can be manufactured. 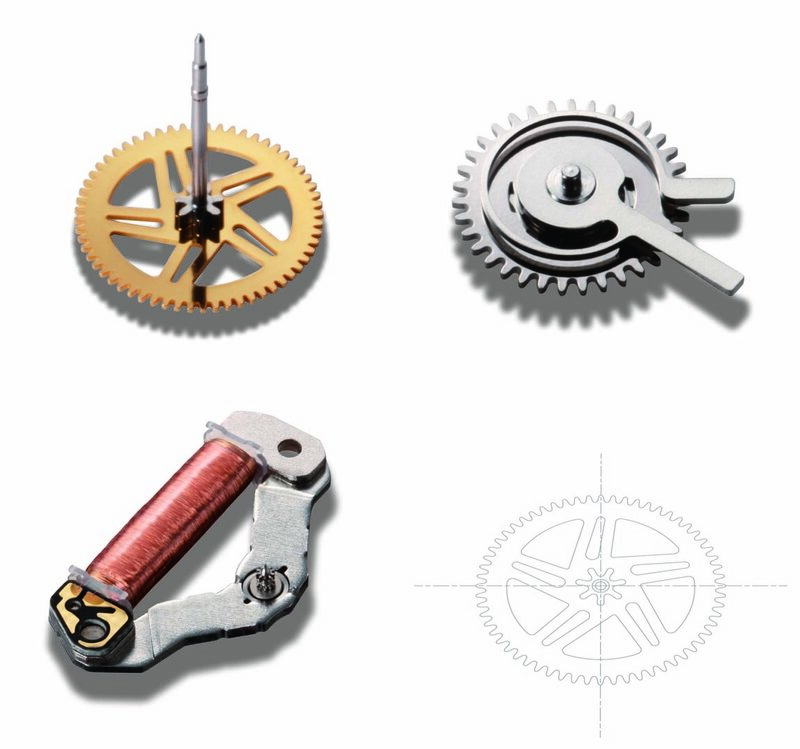 Special components made by combining customized springs and gears processed by LIGA fabrication prevent even the smallest inconsistencies of gears to control hand movements, and enables hands to align perfectly with the indices. 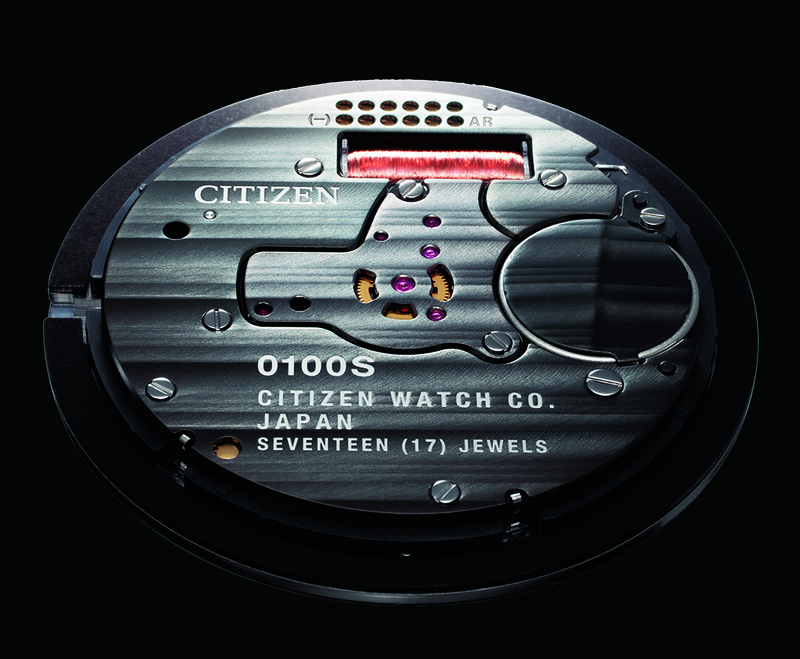 Components are made in the Citizen manufacture using LIGA technology. 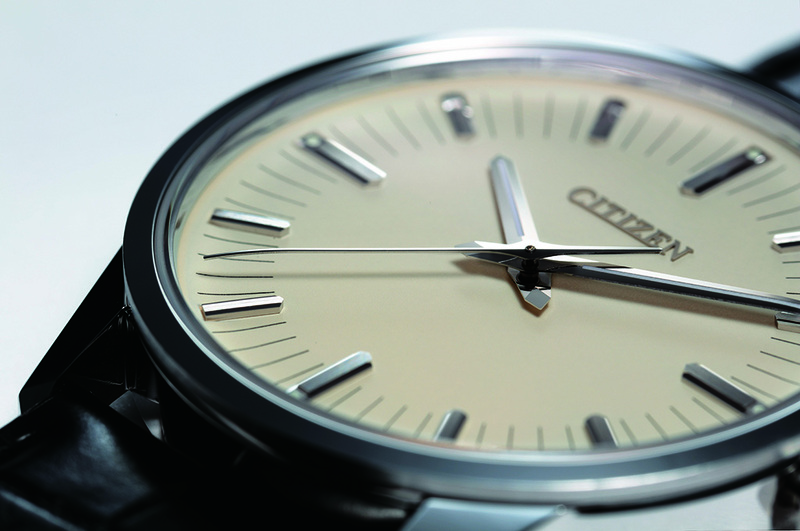 The brass seconds hand is hand curved to reduce parallax error. 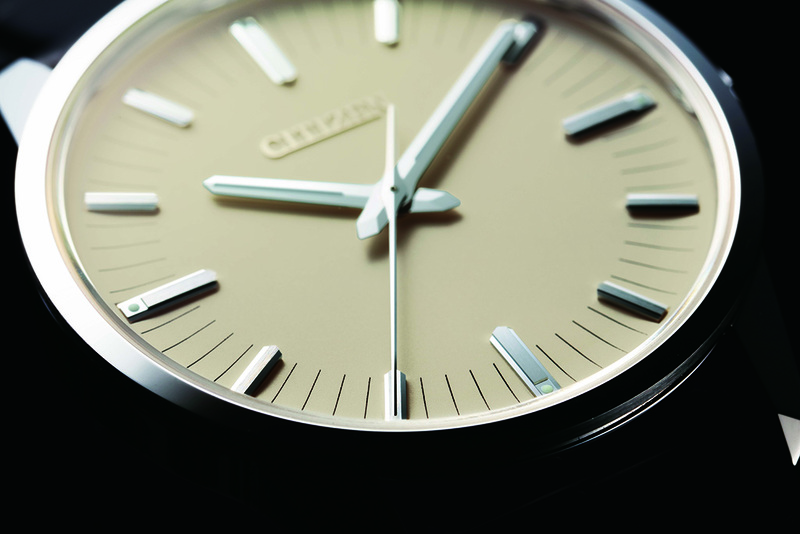 Crafting components with such intricate precision and delicate hand movements are hallmarks of CITIZEN as a true manufacture d’horloge rie. 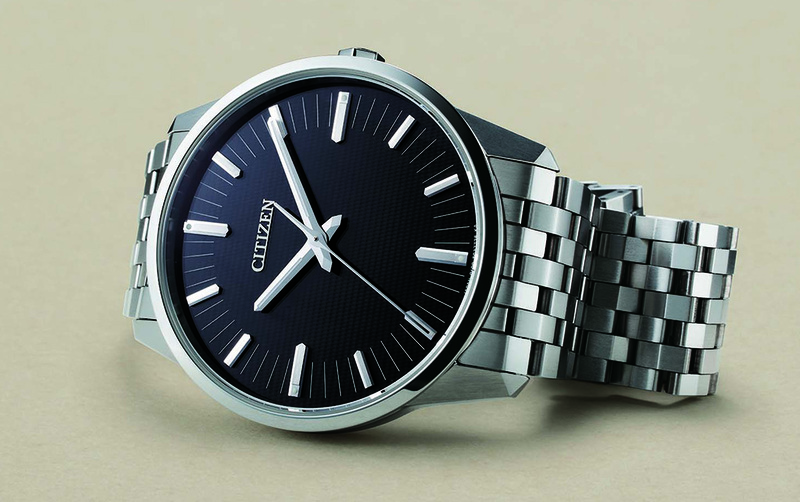 These new models featuring “Caliber 0100” epitomise CITIZEN’s strict quality manufacturing and perpetual innovation of Eco-Drive watches.